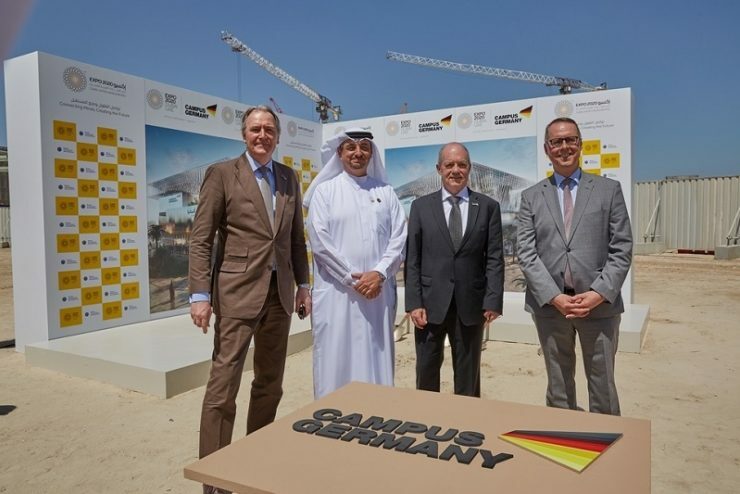 According to *Constructionweekonline news report, construction work has started on Campus Germany, the European country's 4,600m2, three-floored pavilion for Expo 2020 Dubai, which will be located close to host nation UAE’s falcon-inspired structure. The German pavilion, which will be organised and run by the one of the country’s largest trade fair organisers, Koelnmesse, on behalf of the Federal Ministry for Economic Affairs and Energy, will be built on a budget of $56.5m. 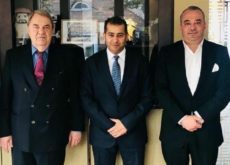 Harald Dosch, co-chief executive officer of Nussli Aduic told Construction Week that he and his team "intend to finish the construction work on the Campus Germany structure by April 2020". 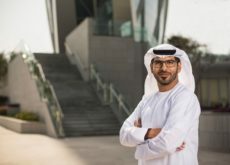 Dosch noted that 80% of the materials that will be used for the construction of the pavilion will be sourced from the UAE and the wider Middle East. Ground was broken on the project by Ernst Peter Fischer, Ambassador of the Federal Republic of Germany to the UAE; Najeeb Mohammed Al-Ali, executive director of the Expo 2020 Bureau; Dietmar Schmitz, commissioner general of the German Pavilion; and Gerald Böse, president and chief executive officer of Koelnmesse, following which new website for Germany’s presence at the World Expo went live in Cologne. Schmitz said that the plot would be cleared by October 2021, adding that more than 5,900 tonnes – or 77% – of the pavilion's building materials will be recyclable. With a theme based on a university campus, over three million visitors that Germany expects to welcome at its pavilion during the 173 days of the World Expo, will enrol like students at a university, and then will be taken through three laboratories including Future Energy Lab, Future City Lab, and a Biodiversity Lab, eventually ending the tour like graduating from the university. Prof Tobias Wallisser, partner at Lava Architekten, told Construction Week that the three-floor pavilion has a ‘hybrid design’, which makes it adjustable to the climate during the six months of the World Expo. He continued: “On colder days we can open the structure and the atrium becomes roof over the outdoor space, thus minimising the amount of energy used to cool down the structure." Wallisser stressed that all the three labs within the pavilion will be fully cooled and the visitors move through different temperature zones that cool them down gradually during their pavilion journey. Campus Germany structure will be dismantled completely once the World Expo ends in April 2020.